Located in the trendy Pearl District, Andina offers up delicious and sophisticated Peruvian dishes, many of which I recognized on a recent visit to Cusco – a good sign, I’d say. Eating here is always a treat, with wonderful menu options and excellent service. If you like mixed drinks, I heartily recommend the Sacsayhuamán. It’s a sweet and quite spicy concoction (thanks to the habanero pepper vodka) that is a delight for the eyes and the tongue. 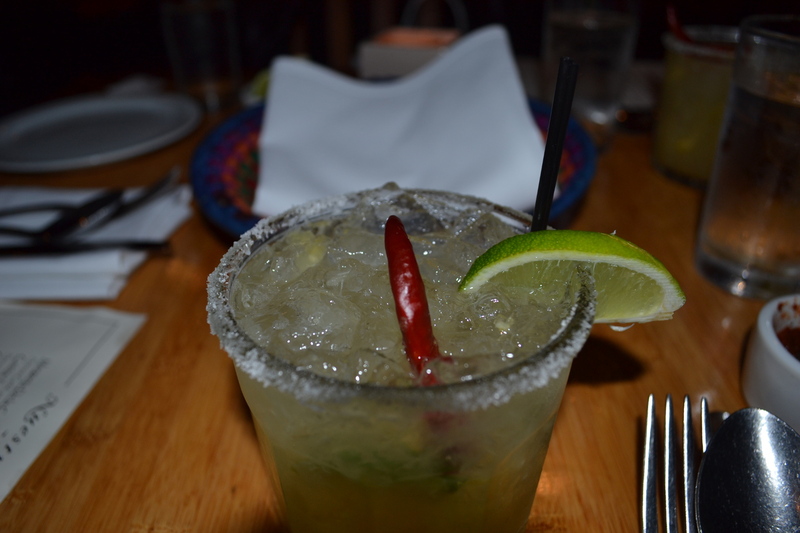 Nuestra Cocina, on Division on the East Side, is one of my must-hit spots when I’m visiting Portland. They always have a special ceviche on the menu – often Rockfish – which is a go-to item for myself and my father. For mains I often opt for the seafood special of the day, but the regular menu is also full of great options – from sea and land. The waitstaff is also super knowledgable and friendly. 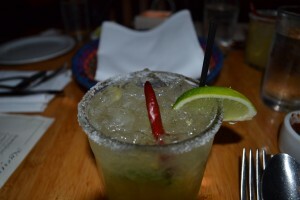 A couple of years ago I tried the spicy margarita (Cocina Especial Margarita), and I’ve had one every visit since. Beware if you’re a spice wimp (which I am) because it’ll make you sweat! Worth the pain, though. 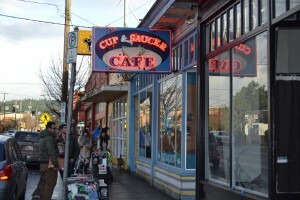 There are three Cup and Saucer locations in Portland, but I’ve only visited the Hawthorne spot in Southeast. I like it for its reliable diner fare, with a decidedly Portland twist – tofu, vegan cheese and garden sausage are all available. The decor and staff also scream Portland, in a good way! And carnivores, don’t worry, the ham, bacon and pork sausage are all available too. It’s not a huge place, though, so if you go during a the height of the lunch or brunch rush, there will probably be a wait. The Cup & Saucer Cafe, Hawthorne Blvd. I discovered this joint a few years ago, with the help of my mom, and it’s been a regular lunch stop for us on every trip since. Tucked inside Yoga Pearl yoga studio on Northwest Davis, it’s a great spot for interesting vegetarian and vegan dishes. 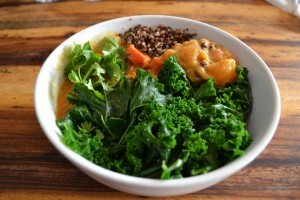 Their bowls are delicious and filling, leaving you feeling satisfied and like you did something good for your body. Last time I was in I tried the Kali bowl, a combo of quinoa, yam curry, steamed greens and mango chutney. Yum. Their juice menu also looks enticing. Prasad has a sister restaurant, Harlow, on Hawthorne, which I will have to try next time I’m in town! 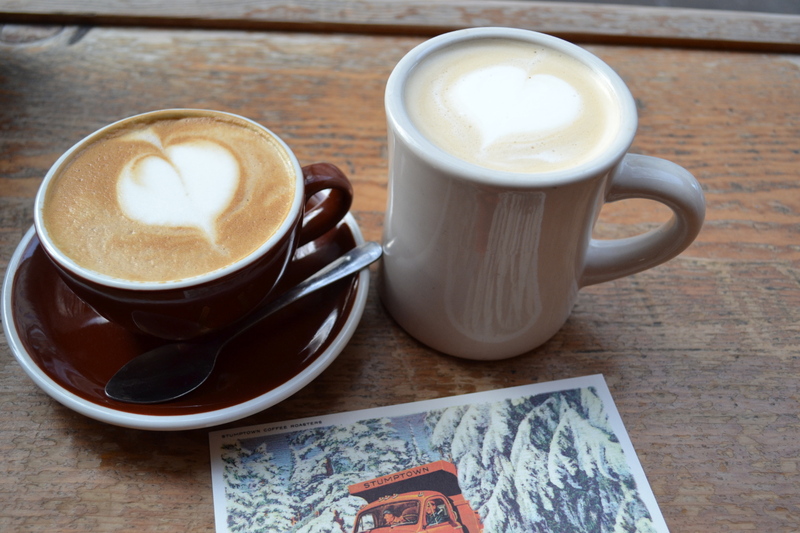 Portland, and the Northwest in general, is a mecca for coffee drinkers. There’s no shortage of independently owned coffee shops, many taking the brew to the next level in their own hipster way. You’ll also find plenty of the chain names: Starbucks, Pete’s, etc. A good local chain is Stumptown Roasters. They take coffee seriously, and so do their clientele. On my last visit I enjoyed a small soy latte (in a for-here cup of course), which was incredibly decadent, rich and foamy. A lovely afternoon treat! Obviously this just scratches the surface of the culinary scene that Portland has to offer. It’s a food lover’s town, and there is certainly something for everyone. 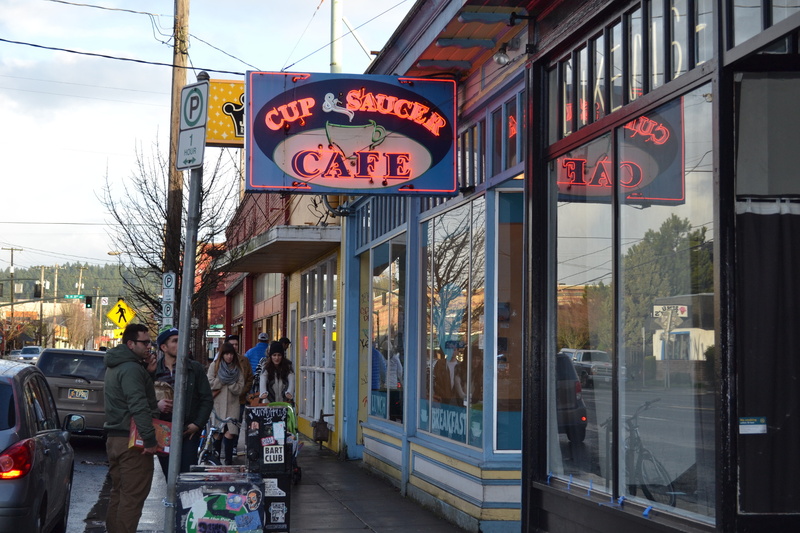 The city is also known for its food cart selection, and who could forget Voodoo Doughnuts? Bottom line: if you’re visiting Portland, go hungry. 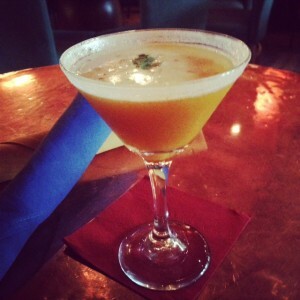 I’d love to hear about your favorite Portland eateries ahead of my next trip. Drop me a comment and tell me all about them!